Spring is slowly creeping in, apart from the typical crazy weather that is happening lately with the mad winds, storms and then it's sunny again? Come on weather, sort yourself out! As I can't quite believe spring is upon us, I'm keeping my knitwear close by still as I don't trust the weather, nor the forecasts that seem to be completely out of proportion. 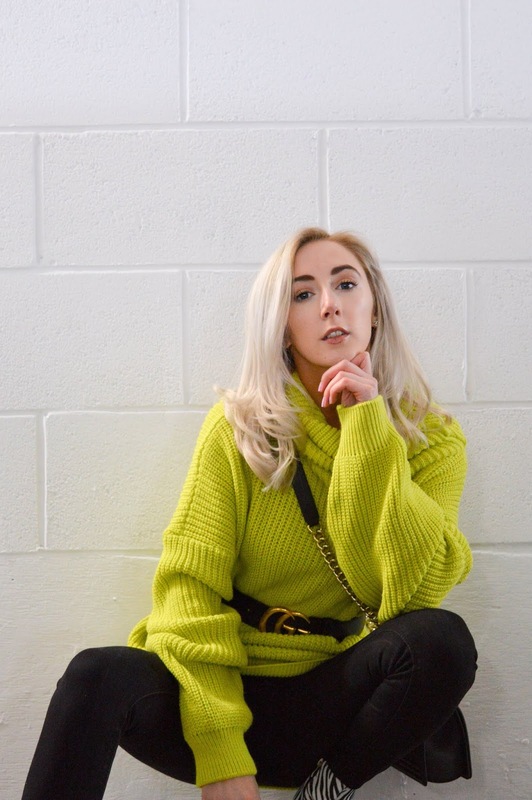 So, neon and animal print seem to be the latest trend that will be following us through SS19 and I'm pretty happy about it. I never knew how much I liked styling these two trends until I put them together on the off chance. I didn't even try this outfit on, I just threw it in the bag me and Adam were shooting and hoped for the best, and that is where this outfit seemed to work so well together! 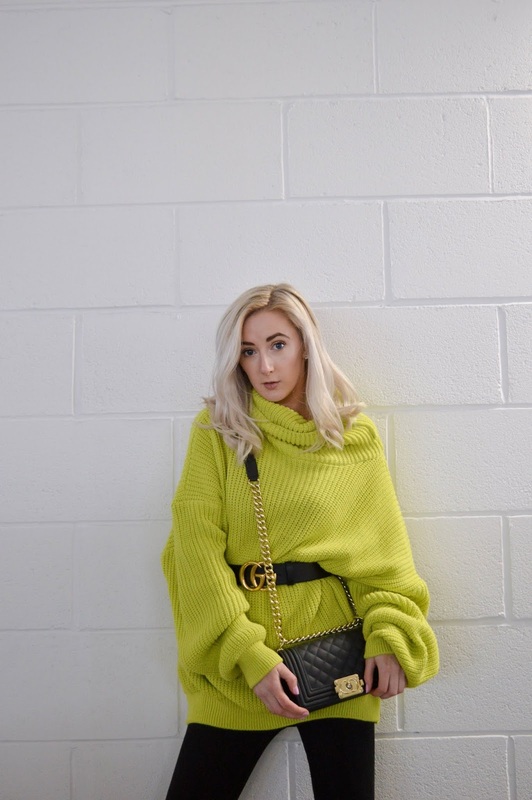 Even if without the Gucci belt this jumper drowns me out and makes me look like a walking avocado, I quite like it if I'm honest! 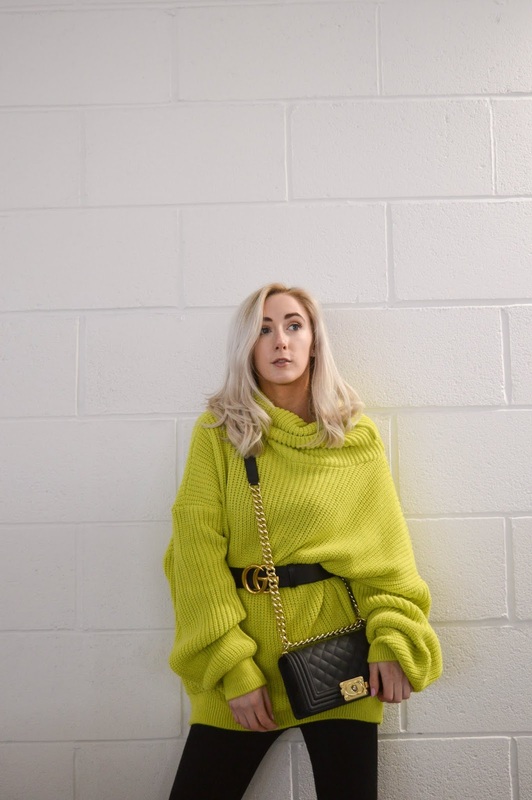 I'm not always one to follow trends as for the last few months I've tried to keep to my wardrobe and not add too many new pieces to it as I just don't have the room for it! But I treated myself to these zebra print boots as I saw them on Public Desire when they first hit the new in section and I wanted them! But £40 I just couldn't justify paying, until they hit the £15 boots sale and they went straight in my basket! Along side a paid of tiger/leopard print boots also for a bargain of £15! Animal print is something I am certainly going to be obsessing over for SS19! 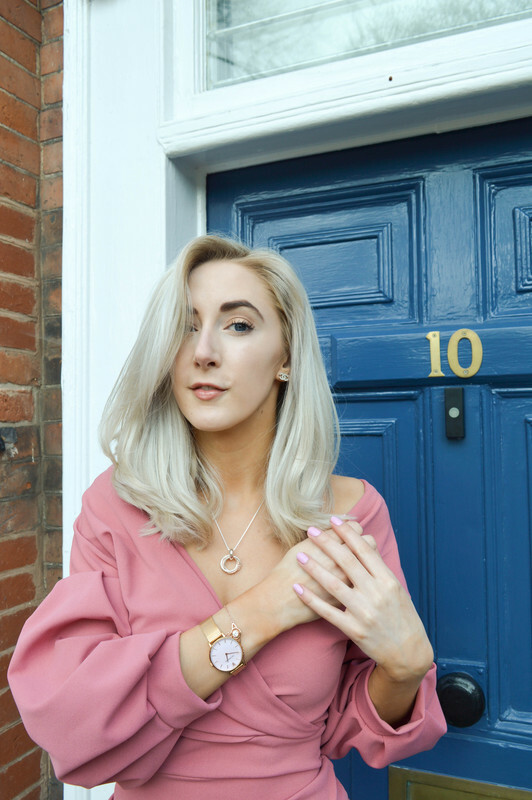 There's so many cool trends going about lately, neon, animal print and one that's certainly caught my eye is the hair clip trend! I've been loving the look and it's so cheap to join in with! I ordered a few unique ones off eBay for £1.99 and bought 3 for the price of 4! Bargain once again! I'm dying to head in to Claire's as they normally have loads of cool and snazzy accessories in store all the time! I remember when I was kid, I couldn't not pop into town without having a nosey at all the pretty accessories! 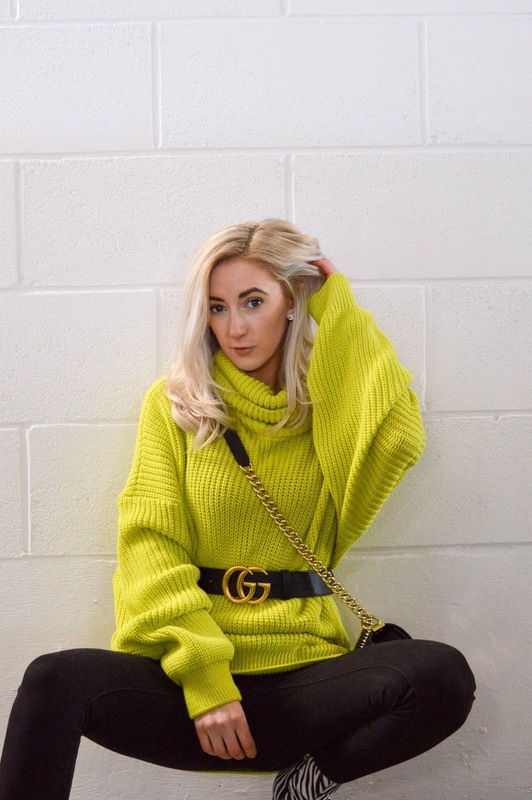 Overall, the neon trend is certainly big right now and I am actually on the band wagon with this one for sure! Surprisingly! It'll be perfect for those summer times as well! Animal print will also be a good trend that will go round all year not just for SS19 I'm sure! What trends are you loving right now? Can I just say that this has to be one of my favourite outfits of yours! I absolutely love your zebra print boots and it's making me so tempted to get a pair of my own.